Kingfisher Elfins adopted Timmy after donating over £100 to the Marine Conservation Society, money raised at our charity bring and buy sale before Christmas. Each week Timmy is being looked after by a different elfin, with some photos below - and a much loved little critter he is too! 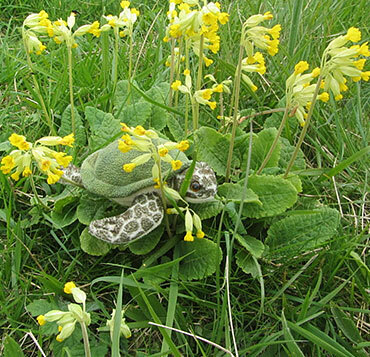 This week Timmy has had a trip to Painswick Beacon. He walked a lot, climbed lots of steps and a hawthorn bush and even started to grow some wings at one point. Timmy had a great week this week with Luke. We had some extra help in looking after him from his sister, Alice. 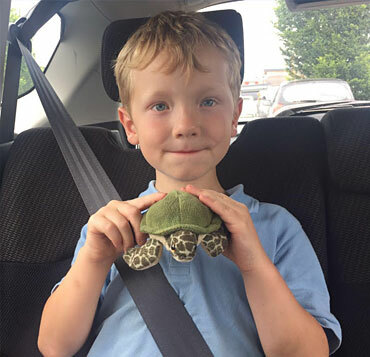 Luke also has another toy turtle so Timmy had some company at home when Luke was at school. 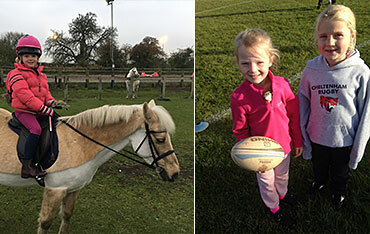 At the end of the week, Luke took Timmy to watch him play rugby and we were careful not to let him get muddy! This week he's being looked after by Thomas, and we're all looking forward to seeing what he's been up to! 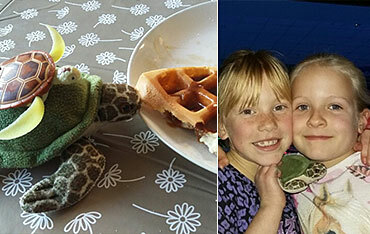 This week Timmy enjoyed an afternoon of ten pin bowling with Renee and her friends and sneaking up on a Waffle at breakfast. Hmm ... is Timmy's new friend a bad influence!? Looks like he's been been very spoilt again this week - too many waffles & he'll find himself sinking to the bottom of the sea! It looks like Timmy has been completely spoilt this week - he's been horse riding, to the rugby, played tennis, & watched Bertie at football! Timmy is really cross with me, as I forgot to hand him out to someone last night (sorry Timmy). I've cheered him up by telling him that this week he's going to be with Danny, who's taking him off on his 3 day school trip to the Deanfield Centre in the Forest of Dean ... look after him Danny! Timmy had an action packed week in the care of Edie and Lucas. 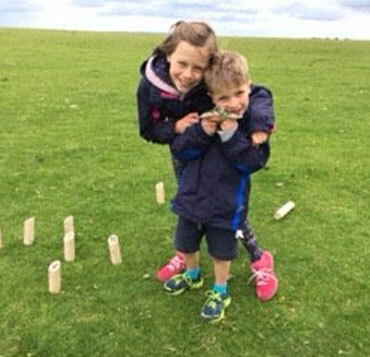 They took Timmy for a bracing walk and picnic on Cleeve hill, and taught him a new game of Smite [Ed: Edie how about teaching the Kingfisher Elfins the game of Smite next week?]. 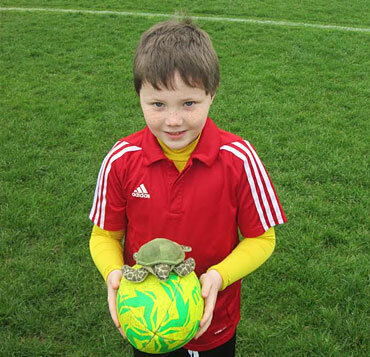 Lucas took Timmy for a bug hunt and they found a Roman snail. On Sunday Timmy went to the ladies college to watch Edie and Lucas' big sister Olivia play in a hockey tournament....the height of excitement with the Blackwells! Timmy had a perfect week being looked after by Ethan. The two of them went to the Rush Skate Park, Timmy and Ethan said the whole day was 'awesome!'. They also watched the film 'The Secret Lives of Pets' which they both really enjoyed (Ed: 'very good choice of film with a pet turtle as a companion!'). To top it all they both went to a football party with Ethan's friend Noah. Timmy says thank you very much Ethan. Timmy was exhausted when he returned to Woodies yesterday. He has gone to stay with Edie this week for a well earned rest! He has been doing exciting water sports with Dan and Ams on the Spring Camp in the Gower - what a geezer! He really seemed to enjoy the sunshine at Three Cliffs Bay. 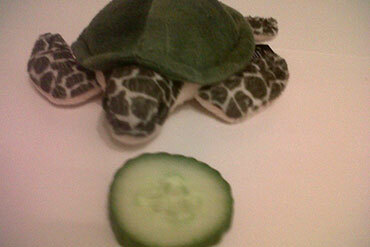 Timmy Turtle has had a real treat this week. 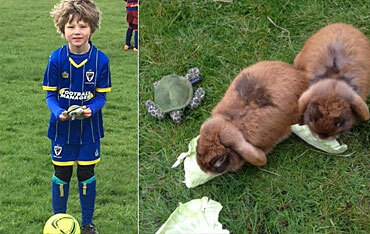 He has been looked after by Bertie and just look at the exciting things he has been getting up to - he has been to see Bertie play football and has shared a meal with his pet rabbits (I hope he didn't mention anything about their ears being stuck on upside down - that would have been just plain rude!). 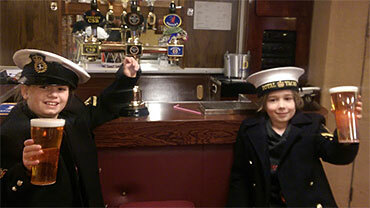 Timmy says a big thank you to Nell and Henry for giving him such a great Easter holiday, which included a fabulous trip on HMS Britannica. They tell me he got lost during the tour of the boat and he wasn't found until Nell and Henry retired for a beer in the bar - guess who served them their beer? Look closely now! 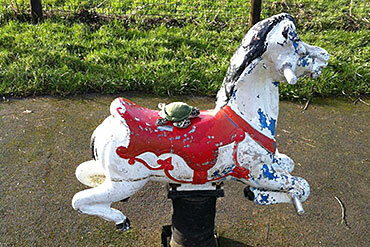 This week Timmy Turtle is being looked after by Bertie (with help from Archie and Tabby): the adventure goes on! Timmy went on an adventure this week, he went with Oscar and other Kingfisher Elfins to a Woodcraft weekend with some newly found friends from Oxford. They all had a fabulous time, getting lots of great new ideas for our very own Spring camp on The Gower. One activity was making friendship bands - Timmy loved it, you can see him below wearing a band given to him by one of his new friends, while he made his own to give away. 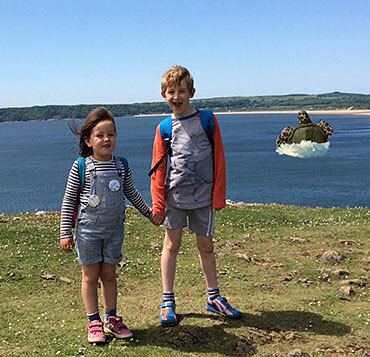 Timmy Turtle is on a two week holiday being looked after by Nell and Henry, check in after the Easter hols to see what sort of adventure he has been on!! We have a well fed and very content Timmy this week after being thoroughly spoiled while being looked after by Layla. You can see him enjoying a dinner with Layla and Teddy. 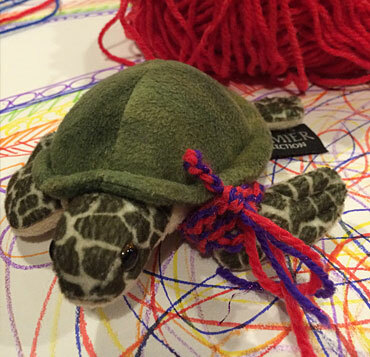 This week Timmy Turtle is being looked after by Oscar and is being taken to a Woodcraft Weekend with Oxford Woodcraft Folk. Watch out for another great picture next week. Timmy Is back fit and well, fully recovered from his winter cold. 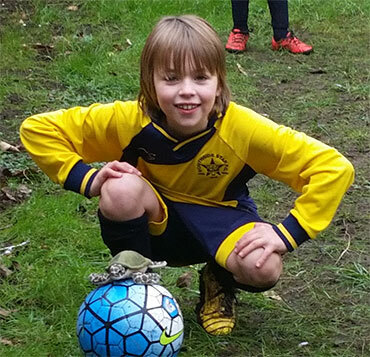 Last weekend he joined the Christchurch Football team as they beat Leckhampton 9 - 1 in the cup. Well done lads and thank you very much Laurie for taking such good care of Timmy and taking him to football. 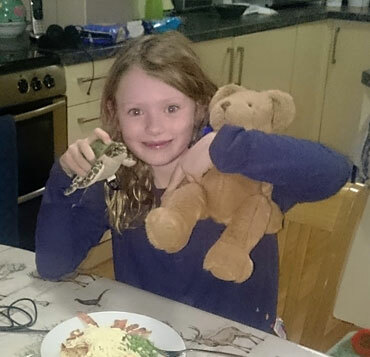 This week Timmy Turtle is being looked after by Layla. Timmy had a real adventure last week while staying over with Gracie - including a fantastic trip to the local park. Thank you for looking after Timmy so well Gracie. He certainly came back a happy chappie! You can see Timmy here preparing for his evening meal. I swear he came back two pounds heavier! He certainly came back a happy chappie!